DennisMcVeigh "I had a great time at Oktoberfest, and Thirsty Swagman was a big part of that. Very fluid and efficient operation. The guides were very personable and engaging. The location of the hotel could not have been better, and the breakfast was phenomenal. One suggestion would be to head to the tents slightly later in the morning. We met up the two days between 9:30 and 10am to head to the fairgroun..."
Start and end in Munich! With the oktoberfest tour Oktoberfest Package 3-Star (Hotel Senator), you have a 4 day tour package taking you through Munich, Germany. Oktoberfest Package 3-Star (Hotel Senator) includes accommodation in a hotel as well as an expert guide, meals and more. Excellent tour guide who was highly entertaining with great energy and was a lot of fun! I'd recommend this group to everyone and definitely plan on booking another. The tour was extremely well organised, with an extensive introduction to Munich and an excellent selection in beer tents to experience at Oktoberfest. Thanks Aaron for the epic response, glad to hear you had such a great time on our Oktoberfest tour. 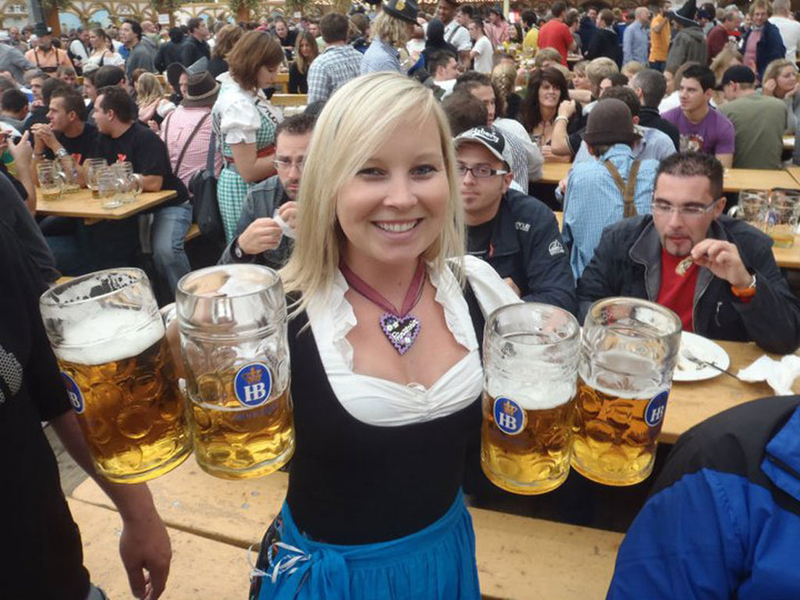 May the beers keep flowing for you with a mighty Prost! Hi Bill, That's fantastic to hear, thank you for the feedback! Glad we could make your bucket-list item a great experience. 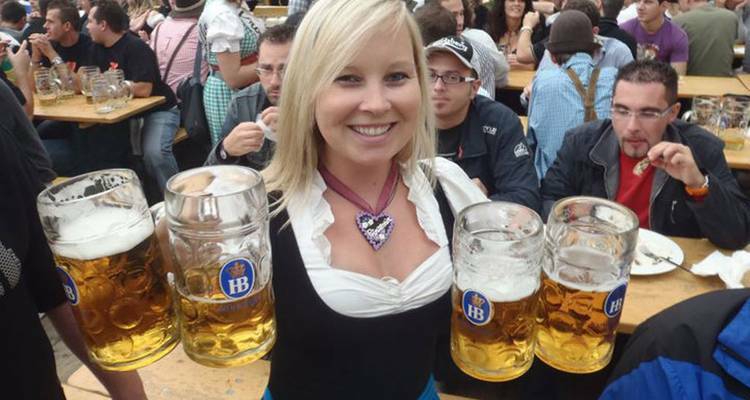 Keep those beers flowing... Prost! 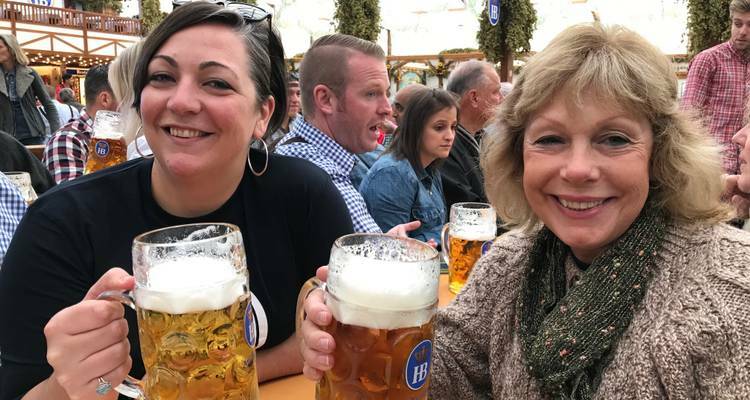 Hi Kathie, thank you for the feedback, the hotels we use book out quite early and by January (around the time you booked with us for the 2018 festival) the Mirabell hotel has very few rooms left and their Oktoberfest rates are almost 4 times their normal rates – they even charge extra for breakfast. For a 3-night stay during Oktoberfest at that hotel, it doesn't actually work out that much cheaper to book the rooms direct. With the beer tent reservations, the tents all have their own voucher packages for tables, we can’t change their table reservation options nor the value of the vouchers. For most tents this is 2x vouchers for beer and 1x voucher for a half-chicken lunch. We are however looking at doing evening reservations as well as day-time reservations in future to include some more beer and food for our groups. The feedback we generally have received is that our Oktoberfest packages are fantastic value overall, considering our hotels are the closest to the festival grounds and we guarantee access to beer tent tables. I will also email you later today, and do appreciate your feedback - we're constantly looking at ways to value-add and improve our tours, so it's something I will discuss with the tour guides when we plan our 2019 packages in the next few weeks. Just didn’t really seem worth the money. Was really expensive for seats in beer halls and a hotel. People on the tour were nice and so were guides. Everything was fine, but I’m left wondering what exactly I paid for. If I had it to do over again I would have just booked my own hotels and gone with my friends to the tents and gotten ourselves s table. It would have saved us a lot of money. Thanks Matt for your feedback. All the hotels close to the festival grounds book out very early, eg the Senator (where you stayed) is already mostly booked for 2019 and individual room rates are far higher than our group rates. It doesn't actually work out that much cheaper to book the rooms direct - especially just 6 months out, which is when your group booked with us. Their rates are almost double our rates around that time. Also, on weekends it's extremely unpredictable with getting tables at the beer tents, hence we had reservations on the Sunday included. If you Google "Beer Tent Stampede" you can see an example of a typical weekend when the doors open at 9am at almost all of the beer tents. The weather has a lot to do with it, and this year was extremely good, mostly sunny, weather which means far more people will go straight to the beer gardens outside the tents. This isn't something we can know in advance of course. The Saturday (day prior to your reservations) for example, every beer tent was packed by 10am and all of them shut the doors (incl. to the beer gardens) by 11:30am. The feedback we generally have received is that our Oktoberfest packages are fantastic value overall, considering our hotels are the closest to the festival grounds and we guarantee access to beer tent tables. I will also email you later today, and do appreciate your feedback - we're constantly looking at ways to value-add and improve our tours, so it's something I will discuss with the tour guides when we plan our 2019 packages in the next few weeks. I had a great time and would recommend. Thank you Sheila for the kind words! Thank you Renee for those great words, much appreciated - we'll pass it onto the tour guides also. Day 1 - Meet & Greet your thirsty buddies. Day 2 - Hofbrau Tent. Is the hotel close to the festival grounds? The Senator Hotel is located just outside the main entrance so its only a few minutes of walking to be inside the festival grounds! Do you include beer tent reservations? Beer tent reservations in the big tent are included at Oktoberfest and it also includes a voucher for some beer and lunch. What is the age range of people on this tour? The guests on this tour are of all ages from mature 18-year-olds to the young-at-heart 70+-year-olds. TourRadar only requires a deposit of $99 to confirm this Thirsty Swagman booking. The remaining balance is then payable 60 days prior to the departure date. For any tour departing before 25 June 2019 the full payment of $1,075 is necessary. No additional cancellation fees! You can cancel the tour up to 60 days prior to the departure date and you will not need to pay the full amount of $1075 for Oktoberfest Package 3-Star (Hotel Senator), but the deposit of $99 is non-refundable. If you cancel via TourRadar the standard cancellation policy applies. Some departure dates and prices may vary and Thirsty Swagman will contact you with any discrepancies before your booking is confirmed. TourRadar does not charge any additional cancellation fees. You can cancel the tour up to 60 days prior to the departure date. If you cancel your booking for Oktoberfest Package 3-Star (Hotel Senator) via TourRadar the standard cancellation policy applies.